The Buick Cascada invoice price and the true dealer cost are not the same. Note: The Buick Cascada pricing report below does not include rebates or incentives. 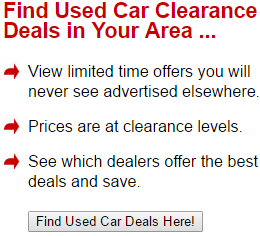 View Buick Rebates and Incentives. Sometimes a maker gets the recipe for a vehicle just right, so when the time comes to redesign it, they just let a good thing be a good thing. The 2019 Buick Cascada is one such vehicle. This perky little convertible has plenty to offer in the way of pep - sitting pretty at 200 horsepower on all trims - and attitude. If you're on the hunt for a new luxury convertible, this one is well worth the research and time it takes to test drive. If you demand a quiet cabin when you have the top up, then you're going to be pleased to know that the Cascada has truly insulated tops that get the job done and give you quiet when you want it. Very rarely do makers leave a design and features the same, but the Cascada has only been in the world since 2016, so Buick stuck with a formula they already knew. 20-inch dynamic twin-spoke bi-color finish wheels are available across all trims and certainly add a dash of style to the design. 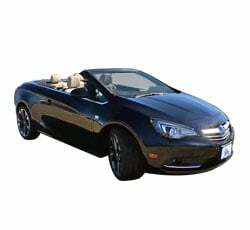 And for convertible owners, everyone knows how a soft-top can intrude on cabin serenity, but thankfully the Cascada boasts a very quiet ride, even with the top down, so you can have privacy and tranquility on the road when you want it or opt to throw the roof off and enjoy the breeze on an exciting summer day. In only 17 seconds, you can go into full convertible mode and experience everything the 2019 Buick Cascada was meant to represent. Buick invites you to "live life wide open" with the base model of the 2019 Buick Cascada. How wide open? Well, the aforementioned 20" wheels certainly add pop to anyone's day, but there is also the gorgeous two-tone color schemes of the Cascade - Sport Red/Ebony to name just one - that make it a truly impressive physical specimen. The 2-wheel drive base model features luxury features like leather-appointed seating and heated steering wheel for maximum warmth on cold winter drives. Go even higher and you're dealing with some serious luxury. Driving a convertible is unlike any other experience in the world, and Buick has really given you a lot of soft-top options here as well as a respectable roof down time (17 seconds). We all know that it's like owning two different cars at any time, one for social life or cruising and one for pure excitement on those days when you just know you have to bring the top down. Perks like leather-wrapped steering wheel and standard-navigation system lead the way to a drive that's incomparable in other convertibles. A 1.6-liter I-4 turbocharged engine - giving you 200 horsepower - lights the way to a smoother, better drive. It's coupled with a 6-speed automatic transmission and premium suspension system, as well as drive modes, to give you an optimal drive every time. This one is perfect for getting to work in style or simply going out for a cruise around the countryside to enjoy the top-down views. Driving a convertible should always be fun. When you bring the great outdoors inside your car, you want to know that you're doing it in style and with a lot of gusto, and Buick certainly gives you the tools to feel that way with the 2019 Buick Cascada. Thanks to a 5-star safety rating, aggressive and bold sport styling, some truly eye-catching wheels, and a sturdy soft-top array, the 2019 Buick Cascada is a convertible to be reckoned with in 2019. Few people who are in the hunt for a convertible should skip test-driving this one, especially given its top-down speed. Beautiful two-tone exterior colors schemes create a unique appearance that can't be matched anywhere else in the convertible world. To put it shortly and sweetly, the Cascada didn't change a thing because it's already doing things right for now, and Buick just gives you more of that good thing in the 2019 season. Test drive this one today to experience all of its powerful features and sheer good looks. 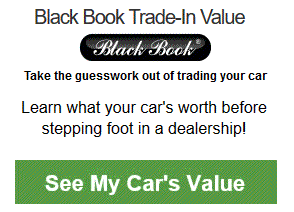 Example: Base Buick Cascada invoice price + the dealer Invoice price of options + destination - Holdback = Total Dealer Cost. Note: All Buick Cascada MSRP, invoice and dealer cost dollar figures above are approximate amounts. Prices are subject to change without notice.